Who commissioned Antonio Stradivari to make a set of instruments for the Medici family in 1690 – and how many instruments did he actually make? There are few families in history who have had as much influence on the fame, wealth and fate of a city as the de’ Medici in Florence. This entrepreneurial family ruled the city for almost 300 years, from the Middle Ages to the 18th century, turning it into one of the wealthiest European centers. Among its high-ranking members were seven grand dukes, four lords (‘signori’) and two popes. 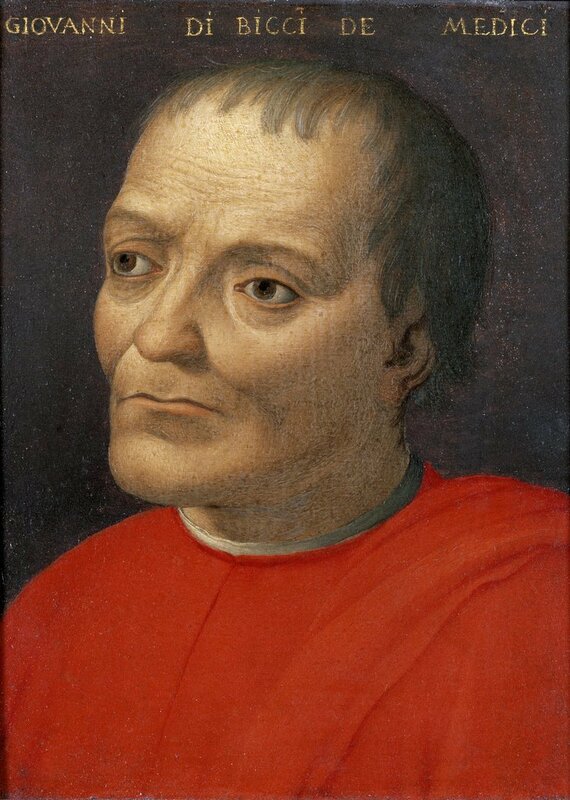 The first influential member of the family was Giovanni di Bicci de’ Medici (1360–1429), who founded the Medici Bank and thereby laid the groundwork for a flourishing financial empire that spread from the heart of Tuscany throughout Europe. The Medici family showed not only a keen interest in international commercial transactions, but in their desire to leave their mark on the city they also developed a strong legacy of philanthropic patronage. By funding public works and supporting artists, authors and philosophers, they played a fundamental role in the artistic development and wealth of Florence. The peak of this activity was undoubtedly reached by the most famous Medici of all, Lorenzo the Magnificent (1449–1492), whose bold undertakings and brilliant diplomatic achievements set a benchmark for the generations of Medicis to come. Although Lorenzo the Magnificent lived 200 years before Antonio Stradivari, it comes as no surprise that a craftsman such as Stradivari came to the attention of later members of the Medici family. 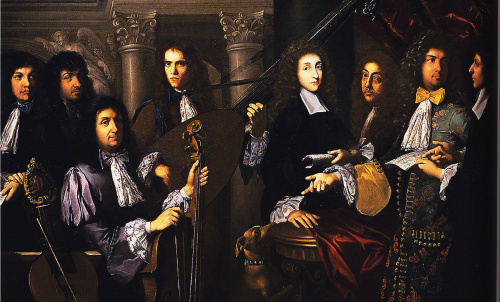 Their patronage led to the commissioning of five of his most beautiful instruments: the Medici Quintet. But who commissioned these marvellous instruments? Were they intended to be a quintet or have some additional instruments been lost through the centuries? And why was one of the violins delivered more than 20 years after the first commission? To answer these questions we need to examine the historical sources, bearing in mind that much has been written about these famous instruments over the centuries, a great deal of which has been embellished and may not be historically accurate. We will begin this journey by establishing who commissioned the instruments. Most sources on Stradivari refer to three possible candidates: Cosimo III de’ Medici (1642–1723); his eldest son and heir, Grand Prince Ferdinando de’ Medici (1663–1713), who unfortunately died before his father and therefore never ruled over the Grand Duchy of Tuscany; and the Marquis Bartolomeo Ariberti, a Cremonese citizen and devoted admirer of Stradivari. In the 20th century both the Hill brothers  and Ernest N. Doring  reported that Stradivari had been commissioned to build a set of instruments by Cosimo III de’ Medici. The Italian bassist and composer Isaia Billé  shared this view, although he accidentally recorded the name of Cosimo I (who died in 1574, long before the commission) instead of Cosimo III. The commission of the quintet therefore appears to have been begun by Ariberti and then continued by Ferdinando de’ Medici. But a third party must have played a role later, because only four Medici instruments dated 1690 survive and the quintet today includes the ‘Medici, Tuscan’ violin of 1716. It is still disputed who commissioned this later instrument. It could have been Gian Gastone de’ Medici (1671–1737), who was a renowned music lover and the last Medicean Grand Duke of Tuscany. But the violin could also have reached Florence after Stradivari’s death, when the Tuscan city was ruled by the House of Habsburg-Lorraine. This theory is supported by the fact that the instrument does not appear in Florentine inventories before 1819. Its late appearance in Florence opens up a question regarding the number of instruments originally commissioned, which has been the subject of much speculation. This question is further complicated by the fact that the ‘Tuscan’ violin from 1690, which had appeared in the Medici inventories from 1778 , 1790  and 1791 , left Florence probably around 1794. Moreover, a second violin and a viola, both from 1690, ‘disappeared’ from the Medici archive around 1860. By the end of the 19th century only three Stradivari instruments were still part of the Medici collection in Florence: a tenor viola and a cello from 1690 and the 1716 violin, this last certainly not having been part of the first commission. Therefore De Piccolellis  spoke of a commission of only three instruments, two violas and a cello, because he referred only to the instruments made by Stradivari in 1690 (and was presumably unaware of the violins from the original commission). He deeply regretted that one of the two violas had disappeared, resulting in only two instruments being still visible in Florence. This remark suggests that although the musicologist was convinced of the authenticity of the violin from 1716, he did not consider it related to the older set. Although the Hills correctly referred to five Medici instruments, they were convinced that only a cello and a viola in Florence, together with the ‘Tuscan’ violin in Rome, had survived. We will see in part 2 how and why the Hills did not consider the ‘Tuscan’ contralto viola as part of the original Medici set. Is it possible that the custodian of the Medici collection simply forgot to include the works of Stradivari in 1692 or were they omitted deliberately? Finally, on the occasion of a celebrated exhibition at Palazzo Pitti in 1980, a detailed catalog was issued; this stated that Stradivari had built a full quintet for the Medici Court in 1690 consisting of two violins, two violas and a cello. This information was based on an archival document from 1700 that listed all the instruments contained in the Medici collection. Surprisingly, however, the previous official list dated 1692 did not mention a single instrument by the Cremonese master, although according to Ariberti’s letter these instruments, or at least three of them, must already have been in Florence at the time. Is it possible that the custodian of the Medici collection simply forgot to include the works of Stradivari in 1692 or were they omitted deliberately? And if so, why? We will probably never know. Although political instability and wars have taken their toll on the original 1690 set of Strads, which did not survive intact, four of the instruments belonging to the first set and the ‘Medici, Tuscan’ of 1716 can be still seen today, although divided between collections in Florence, Rome and Washington. Stradivari’s designs for the inlaying of these beautiful masterpieces, a couple of moulds and some paper templates are also still preserved in Cremona. We continue our survey of these instruments in part 2. Thanks to Roberto Regazzi for assistance with source materials. Hill, William Henry; Hill, Arthur Frederick; Hill, Alfred Ebsworth, Antonio Stradivari. His Life and Work (1644–1737), William E. Hill & Sons, London, 1902, reprint 1963, Dover, New York, p.72. Doring, Ernest N., How Many Strads? Our Heritage from the Master, Bein & Fushi, Chicago, 1945, reprint 1999, p.70. Billé, Isaia, Antonio Stradivari e i suoi favolosi istrumenti, Il regime Fascista, Cremona, 14 April 1937, p.3. De Piccolellis, Giovanni, Liutai antichi e moderni, Successori le Monnier, Florence, 1885, p.82. De Piccolellis, Giovanni, Esame della Viola e del Violoncello Mediceo, Atti dell’Accademia del R. Istituto musicale di Firenze. Dell’autenticità e del pregio di taluni strumenti ad arco, Galletti e Cocci, Florence, 1889, p.30. Angeloni, Domenico, Il liutaio, Ulrico Hoepli, Milan, 1923, p.509. Bargagna, Leto, Gli strumenti musicali raccolti nel museo del R. Istituto L. Cherubini a Firenze, (Tipografia Domenicana) at G. Ceccherini, Florence, 1911, p.17. Gai, Vinicio, Gli strumenti musicali della Corte Medicea e il Museo del Conservatorio ‘Luigi Cherubini’ di Firenze, Licosa, Florence, 1969, p.49. A.S.F. IRC 4699, Inventario a capi di Palazzo Pitti, 18 December 1819, as mentioned in: Falletti, Franca; Meucci, Renato; Rossi Rognoni, Gabriele, La musica e i suoi strumenti: La Collezione Granducale del Conservatorio Cherubini, Giunti, Florence, 2001, p.137. A.S.F. IRC 3399, ‘Giornale della Guardaroba Generale’, c. 123v, 2 January 1778. A.S.F. IRC 4353, ‘Inventario del magazzino della Guardaroba’, p. 604, 28 June 1790. A.S.F. 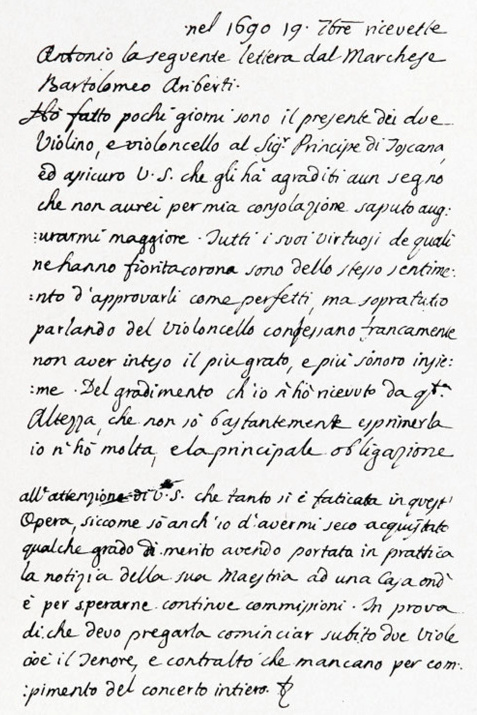 IRC 4354, ‘Inventario del magazzino della Guardaroba’, p. 179, 3 August 1791. De Piccolellis, G., Op. cit., 1885, p.82. Angeloni, D., Op. cit., p.509. Gregori, Giampaolo, L’Esposizione di liuteria antica a Cremona nel 1937, Editrice Turris, Cremona, 1987, p.65. Ottani, Giancarlo, Stradivari, Fratelli Bocca Editori, Milan, 1945, p.257. Hill, W. H.; Hill, A. F.; Hill, A. E., Op. cit., pp.97 & 267. Catalogue of Antichi strumenti. Collezioni dei Medici e dei Lorena, Op. cit., pp.17–20. ‘Inventario di diverse sorti d’instrumenti musicali in proprio del serenissimo sig.r principe Ferdinando di Toscana’ – ‘Inventario 1700’, cc. 82v-83v. Disertori, Benvenuto, Di alcuni strumenti di Antonio Stradivari tuttora esistenti in Italia, RMI (Rivista Musicale Italiana), vol. XLI, Milan, 1937, pp.300 & 302.